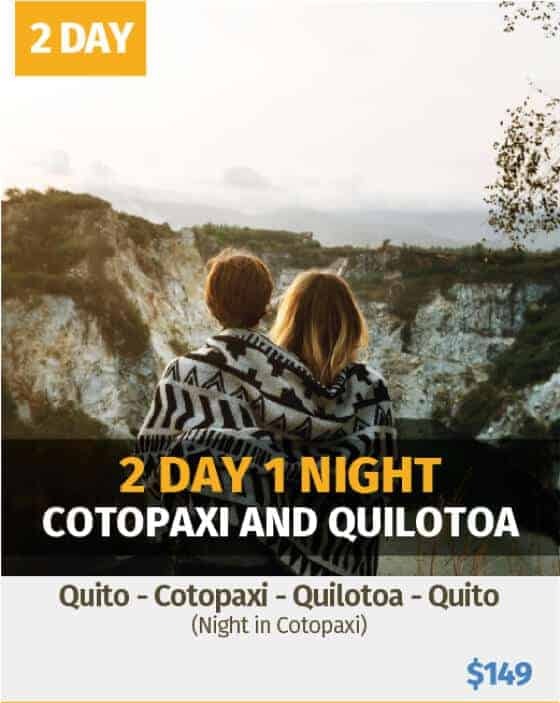 Escape from Quito today and discover what Ecuador has to offer right outside the city with one of these unforgettable full day trips from Quito. 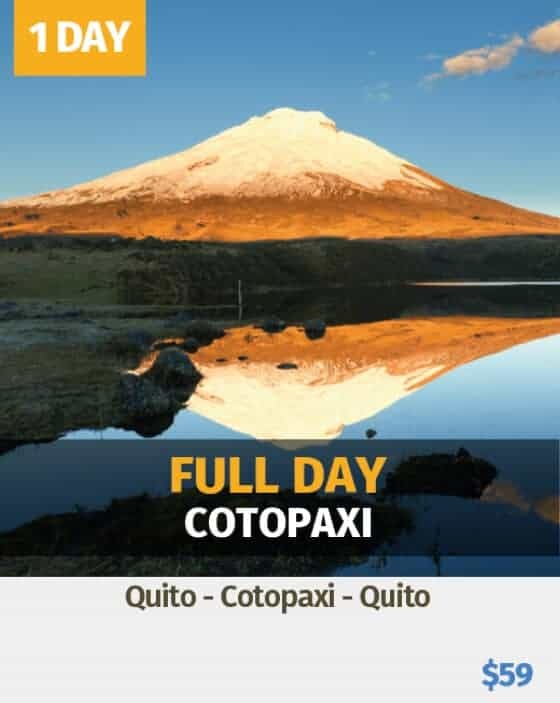 Explore Cotopaxi National Park, home to the iconic Cotopaxi Volcano, and Quilotoa, a breathtaking scenic lake located inside the crater of an active volcano. 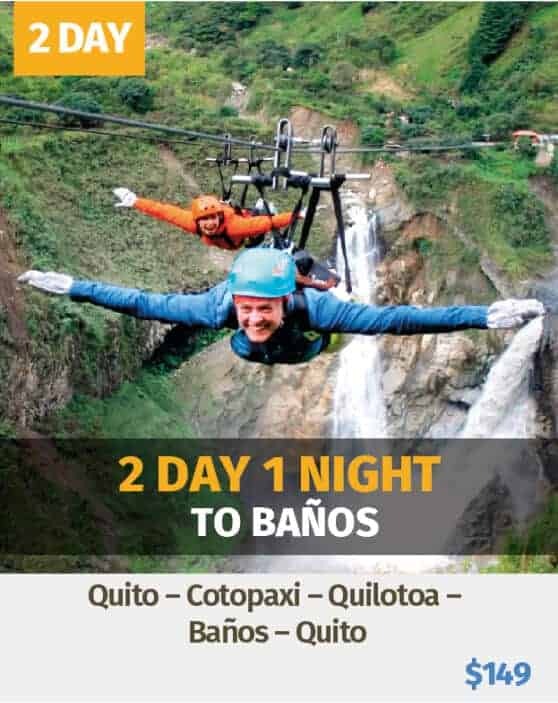 Visit from the city of Quito and return the same day or end your trip in the town of Baños, Ecuador’s gateway to the Amazon Rainforest. It’s your choice! 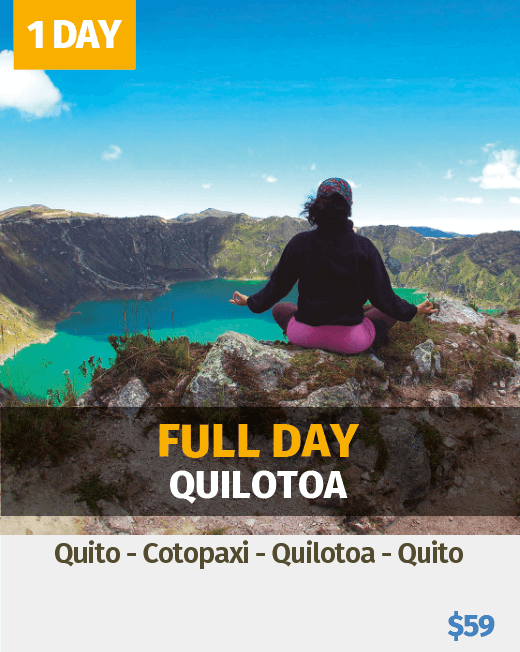 Below you’ll find our selection of full day trips from Quito, including round trip to Quito or options ending in Baños. 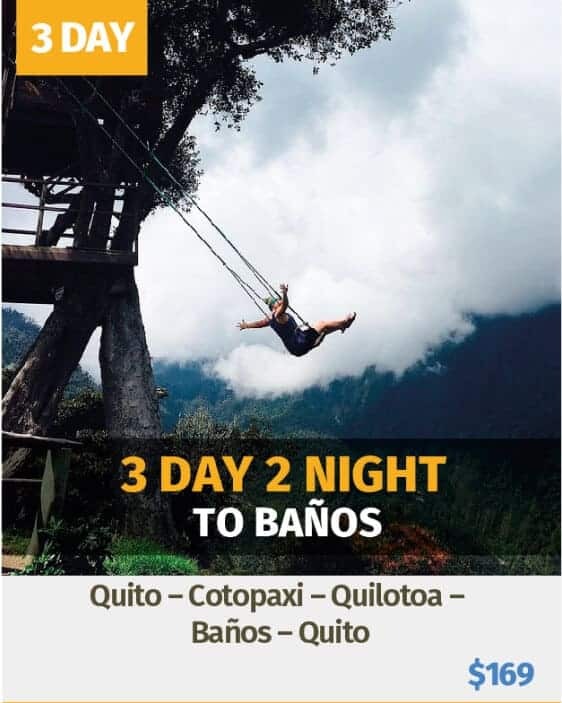 We offer guaranteed daily departures to these destinations, all year round! 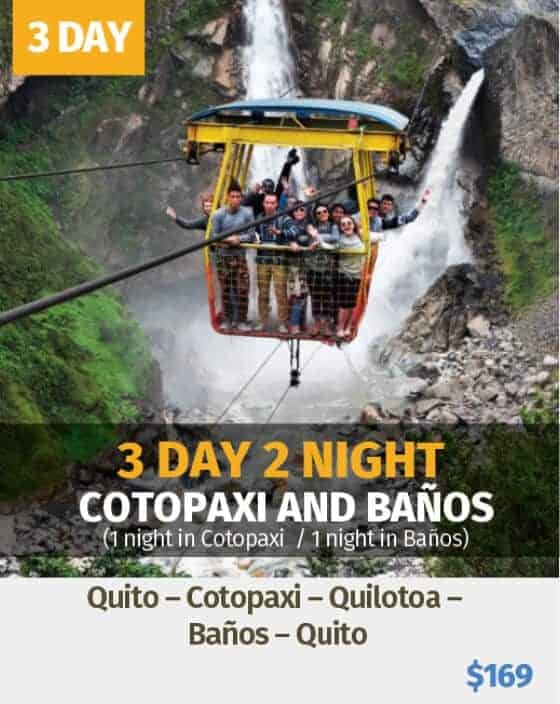 These excursions are ALL INCLUSIVE, with no extra cost for tours or park entries. Food is the only expense that is not included. Experience one of these amazing places for yourself and choose one of these incredible day trip passes!